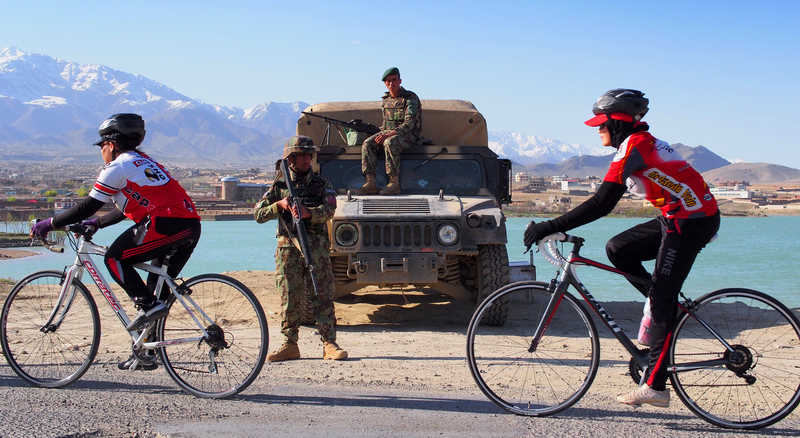 We are in the initial stages of bringing several Afghan cyclists to the United States next summer for a cultural exchange and training camp. We are excited to work with the law firm Hogan Lovells who is helping us with the logistics and has officially come on as a sponsor of the team to assist in the expenses of getting the team to the US for training camps, coaching clinics, and community rides. The idea? Expose these young women to cycling at its highest level with trips to Philadelphia to watch a World Championship women’s race, introduce them to top coaches, professional racers, and visit the US Olympic Training Center. We also plan to have their participation at several Afghan Cycles screenings after it premieres so that they can take the stage and own their own story. At the same time, we aim to build long term support of these young women in the communities that support cycling and have supported our work in Afghanistan. This is an opportunity to engage with these young women directly in community rides and some private events. We will be organizing fundraisers and rides primarily in Colorado and California, but there may be some east coast venues as well. We are raising the funds necessary to bring 6-8 girls here for one month and during that time we will also be discussing opportunities and next steps with the team. One goal is to coordinate further education with two of the members that would like to be trained as coaches. They are studying to be sports trainers at Kabul University, but getting them trained as cycling coaches could provide a job source and longevity with the women’s team looking ahead. If you want to volunteer your time, open your home, or ride with the girls while they are here, we will be coordinating that effort once we know dates and logistics. Stay tuned and thank you for believing in this program and these young women. The women that dare to ride have been inspiring other women to ride and the result is seeing more girls learning to ride bikes in various parts of the country. While the number is still small, it’s mighty. These young women are on the front line of a civil rights movement over their own mobility and freedom. 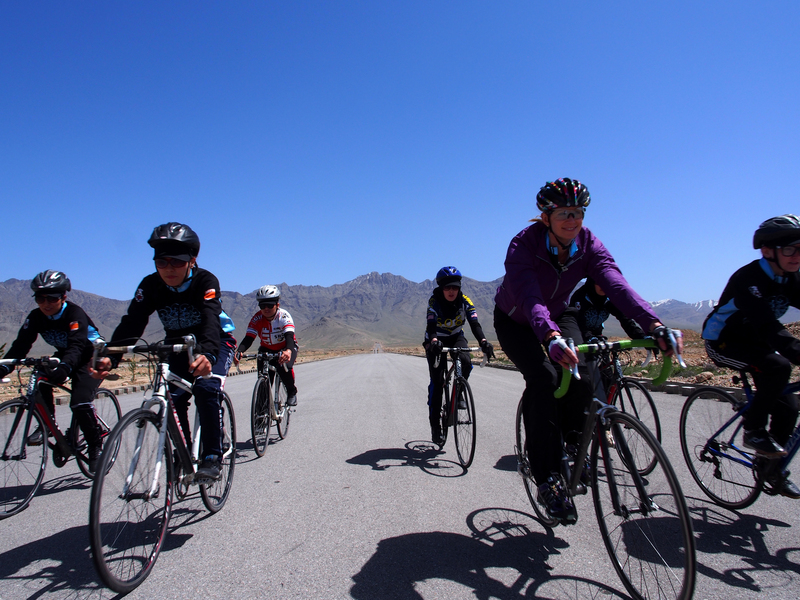 This year we spent time in Bamiyan with Zahra, a young woman that learned to ride when she was a little girl in Iran. She started teaching others to ride as a means of getting to school. While she has been threatened, mostly she has found ways to work within the community to change the culture as thoughtfully as she can. She has been the force behind several public rides and races in the community for girls, and this summer she formally registered her group of girls as a club with the sports federation. In Kabul, we have seen more girls join the National Team, despite a decrease in security. Nazifa is finished school to become a midwife and Frozan and Massouma are at university studying to become sports trainers. Sadaf is no longer riding on the team, and we definitely missed her smile and spark on our last training ride. Mariam is working more and more as Coach’s assistant and training less. 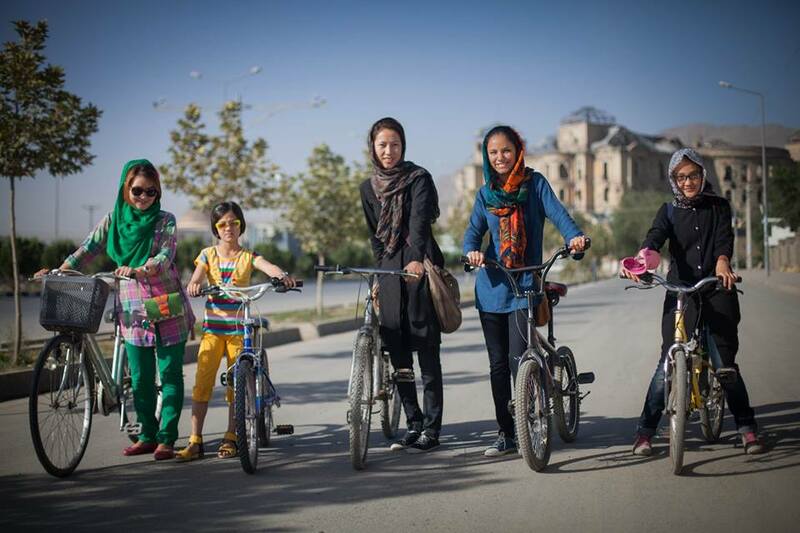 We worked this summer with Fatima Hadairi, who started a small bike club in Kabul last summer. She worked with us as a translator in Bamiyan and it allowed us to introduce her to Zahra and the girls in Bamiyan as well as to the girls of the national team. One of the young girls, Nahim, who rode with Fatima last summer has joined the national team, which is wonderful to see some of the threads beginning to connect. Another thread is with Zhala, a young women we met briefly that rode a bike at the Mountain2Mountain – Bike School in the spring of 2013 as part of the final Sound Central Festival. 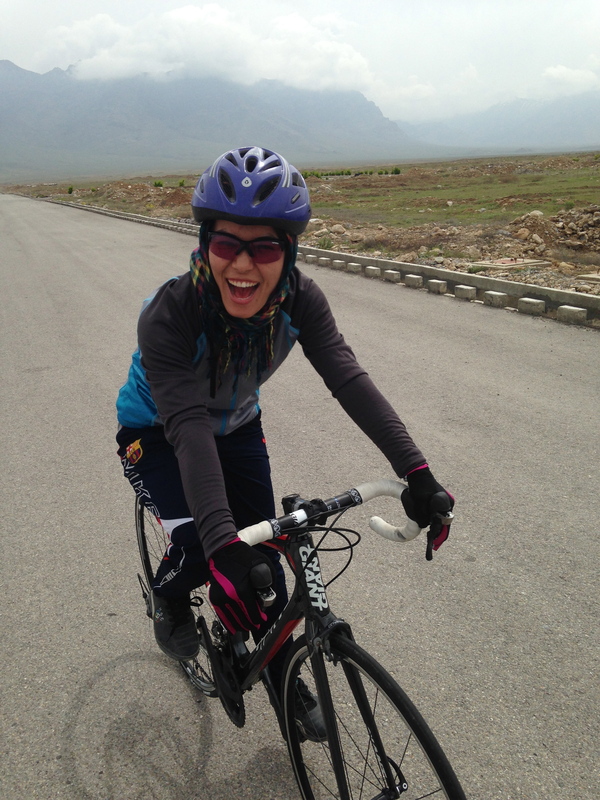 We’ve seen her on Kabul training rides with the national team since, and she took part in this October’s Tour de Bamiyan, the only girl from the national team to take part. Progress is evolving throughout the country with the youth movement, time will tell if the security situation will stabilize so that more girls can begin to ride safely, but in the meantime, none of these girls plan to stop. They have seized their freedom, convinced their families to support them, and the more press and media they get gives them the ammunition to change their culture, one pedal stroke at a time.